We are currently accessing the GIA database for the requested certificate. Please wait whilst this downloads. Unfortunately the certificate for this diamond cannot currently be shown. Either the certificate is unavailable from GIA or there may be a temporary communications error. Please try again later or contact us for more information. No specific stones information available for this product. All orders above USD 1,000 (about GBP 600 or about Euro 730) recieve Free FedEx Delivery. We currently deliver products to anywhere globally where FedEx provides a normal delivery service. If your country is not in the list, please contact us at enquiries@lavivion.com. Orders above USD 10,000 (about GBP 6,000 or about Euro 7,300) or above payment gate or above credit card limits should be saved as wish list. Please send Your wishlist in this case to enquiries@lavivion.com and please call as afterword. La Vivon will send an invoice for You within 24 hrs for bank transfer. Taxes, duties and delivery charges if any and estimated timescales are specified when you place an order. You should not expect to pay any additional payment (duties and taxes) on delivery. La Vivion has a policy to include estimated customs fees, import duties, taxes, and other charges, including VAT into the price a customer pays at the Checkout. The customs fees, import duties, taxes, and other charges, including VAT amount is calculated based on the shipping destination of your order. Please note that this charge will appear in the shopping basket after you have entered a shipping destination. La Vivion passes all rights to do custom clearance, pay all necessary taxes to FedEx. Value added tax (VAT) will be applied for all orders placed on the www.lavivion.com website where applicable. Orders from www.LaVivion.com are ineligible for the VAT Retail Export Scheme because www.LaVivion.com is an internet-based mail-order company and is ineligible to participate. The delivery address is provided by you when placing the order. Goods are deemed to be delivered when our delivering agent delivers them to the delivery address (you will be asked to sign a delivery note) or, in the case our delivering agent attempts without success to deliver the goods at your delivery address, when collected by you at the address indicated by our delivering agent in the ticket he will leave at the delivery address. You are required to collect the goods in 5 working days from receiving the notification by our delivering agent of goods waiting for your collection. Once the 5 working days are elapsed, goods will be deemed to have been delivered successfully and returns can only be made under the return policy conditions. If you would like to exchange or return an item purchased from our website, please email us at enquires@lavivion.com or contact via phone at UK number 0800 046 1340 or at USA number 1 866 805 5010. The goods should be in its original condition, along with the original dispatch note and packaging. We charge USD 50 on every return case for restocking. We provide the option of a full No Question Asked refund within 20 days of delivery. The goods should be in its original condition, along with the original dispatch documents, diamond certificate (if any) and packaging. b) items that have not been customized from their original state as displayed on the website. c) we cannot accept returns of earrings. This is for hygiene reasons and doesn’t affect your statutory rights. d) Purchased items with any element of personalization, engraving, designs by or for the client via “design your own…”, may be not considered for return and refund. Returns of orders will be confirmed only where you have returned the item in its original condition, unworn and together with its original packaging and certificate where applicable. Non-return of the certificate will be charged at USD 400 for a replacement certificate and you may be charged an additional replacement cost for packaging and any other collateral material. Please note that clients who are returning their items will need to bear the costs of shipment and insurance. The cost will vary depending on the country where the item is dispatched from as well as the value of the item. All diamonds returns are subject to verification and authentication by the Jewelry HK Ltd team. The cost of this verification is USD 100. For security reasons we recommend that you do not use the name La Vivion anywhere on the packaging of your returned item. To arrange a return we would require you to contact your La Vivion representative who will provide you with further instructions. Note: Jewelry HK Ltd will not be responsible for loss or damage of return shipments. We cannot be held liable for any loss or damage you may suffer as a result of your return or late delivery or cancellation of your order, so we advise that you retain all proof of posting documentation. All Ring and Jewellery sizes and measurements are approximate but we endeavor to ensure that the sizes and measurements are accurate. Would you like to add the following to your item? Click the sections below to add your details. Dont worry, if you change your mind you can edit your options on the shopping basket page. Every Lavivion diamond ring is entirely unique according to the individual diamond placed in the setting. When using or leaving reviews please remember that exact products will vary according to the carat size and detailed characteristics of the diamond chosen. Bespoke Diamond Earrings - What’s Your Perfect Size? Why Are Diamonds So Popular For Engagement Rings? How Important Is The Setting? Thinking About Proposing On Valentine's Day? How important is diameter when buying loose diamonds? How important is the certification date for GIA diamonds? What does the eternity ring mean? Would You Wear A Second Hand Engagement Ring? Do people spend a month’s salary on an engagement ring? 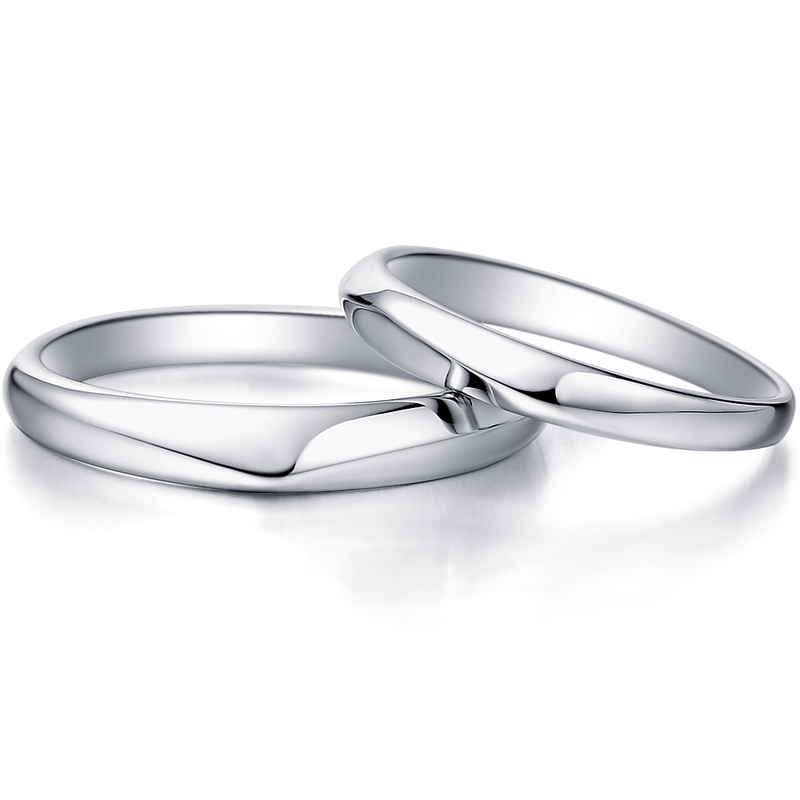 What's the difference between a promise ring and an eternity ring? When to buy an Eternity Ring? Should You Choose a Palladium Engagement Ring?